Dark and Dreamy with C. C. Marks: END OF MERCY is Coming!! 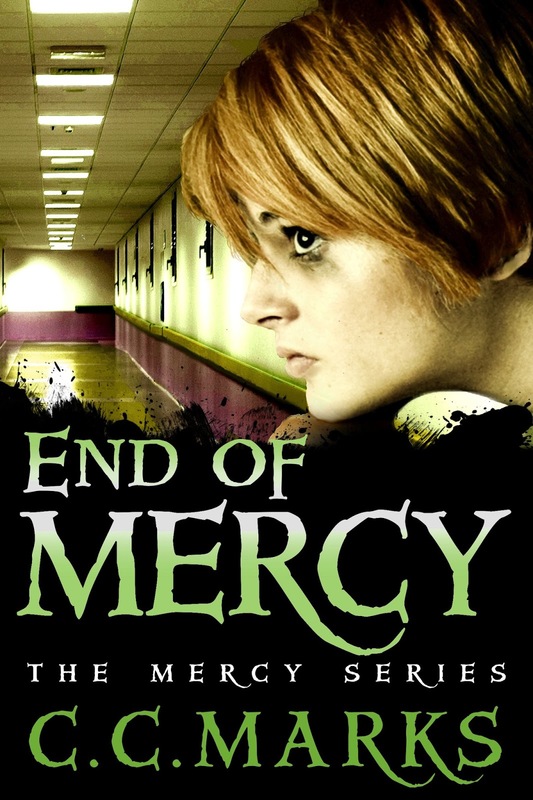 END OF MERCY is Coming!! For those of you who haven't seen the cover of the book, here it is! “Come in.” The two words were short and impatient, and I didn’t have confidence she would be glad to see me again. Regardless, he twisted the knob and stepped inside and I followed, dragging my feet the whole way. It took me a minute to spot her by the large, picture window. I hadn’t really noticed it last time I was here because curtains clearly covered it usually, but she had them pulled back currently and was sitting on the narrow ledge, staring down to the area below. I didn’t know at what she might be looking, but that window faced the inner walls of the square the hospital formed. Whatever was down there, was inside the facility.